Since we opened in 2005, we have tought thousands of executives, diplomats, and exchange students Mandarin Chinese at our campus in the heart of Beijing. Our alumni include members of the Belgian Royal Family, ambassadors, and executives from global organisations, such as the International Olympic Committee, who have activities in Beijing. Being in the center of Beijing, next to the Drum and Bell Towers, Houhai Lake and Nanluoguxiang, it is convenient to study part time around work, or full time and explore the city after class. The Sinology Institute cooperates closely with the non-profit research and development body Datong Chinese to improve our teaching and curriculum.We make learning Mandarin accessible for everyone! Learning to write a Chinese character with a pen or brush can take hundreds of times longer than learning to use that word in a sentence, so we use a new teaching style that separates character writing from other commonly used skills. This way a student can grow fluency in Chinese much faster, and focus on learning writing skills once they are already very comfortable with the language. This is much more efficient than traditional methods, and our students can reach advanced fluency (above HSK5) in half the time required by students using using a traditional curriculum. We call this way of learning 语文分开). The theory is strongly based on the Input theory of linguist Stephen Kraschen. The theory states that language acquisition takes place when the student receives input one step beyond his/her current level. However, when teaching all disciplines of Chinese language learning in one holistic system the input level will be disharmonious due to the time needed to master the separate disciplines. By isolating the tedious task of character handwriting, a rhythm of language acquisition can be achieved by which the student will have progressive success in line with the teachings of the Input Theory. In order to offer our students the fastest possible progress, the Sinology Institute focuses on the speaking, listening, reading (character recognition) and composition disciplines of the Chinese language. Character handwriting is a minor part of the curriculum and can be further explored at request with the help of our expert teachers. 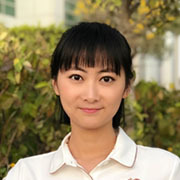 Jiao Yu has a strong passion for education and teaching Mandarin Chinese. He was born in Shandong, the province Confucius is from, and, interestingly, his name can also be interpreted to mean "education". He believes that students can only be as good as their teachers which is why he dedicates his time to providing the best Chinese classes in Beijing. 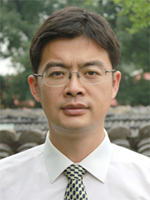 Wang Shaoqing is from Hebei Province. She loves interacting with the students and creating a fun environment. 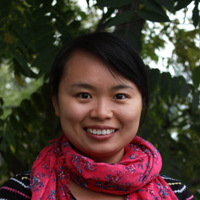 She strives to make students feel at home and give them the best China experience possible. Zhang Xiaoya is a native of Hebei Province. 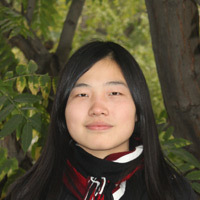 She studied at Beijing International Studies University and majored in teaching Chinese as a second language. She loves interacting with students and helping them with practical issues outside of class. 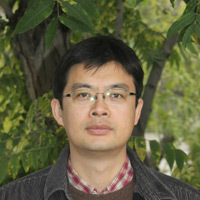 Zhou Hongxia hails from Ningxia province. Her unique teaching style makes learning Chinese much easier than could be pressumed, and she is very active, patient, and humorous. She is great at creating fun and interactive study plans based on level and the interests of students, and always puts her heart and soul into her teaching. Ms Cui has a good working attitude and sense of responsibility making her an excellent teacher trusted both by our school and her students. Her teaching style is strict but flexible. Her devotion to teaching makes her students feel taken care of. 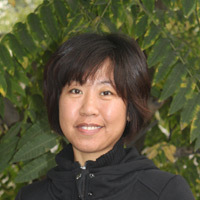 She is particularly experienced in teaching students at elementary levels. Jin Xi is a native of Beijing. 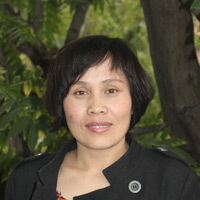 She is a graduate of Beijing Normal University with a master degree in TCSOL under Professor Zhu Ruiping, the director of the college of Chinese language and culture at Beijing Normal University. She has been working in Bangor University, UK and has been highly successful in teaching a wide range of age groups, from children to mature adults. She is an excellent motivator and communicator; both attributes have made her teaching highly praised by many of her students. Welcome to the Sinology Institute. Years of research into language learning have shown that a structured approach will always yield the best results. We therefore advocate a proprietary teaching method based on Prof. Zhang Pengpeng's idea of separating speaking and listening (audio) from reading (visual) and writing (mechanical) skills. A language is the easiest to acquire via audio-based, then via visual and lastly via mechanical skills (e.g. a child first listens, then speaks, then reads or writes). By separating audio from visual-mechanical, we acknowledge that it is easier to understand and speak Mandarin than to read and write it. Thereby, the studies of visual-mechanical skills will not slow down the studies of audio skills enabling students to progress at the most efficient pace. We believe that with the right dedication we can take our students from level zero to high proficiency within 12 months (given a minimum two hours of daily private classes and two hours of daily self study). We hope you will enjoy your time with the Sinology Institute. The Sinology Institute is fully licensed by the Ministry of Education of The People's Republic of China. 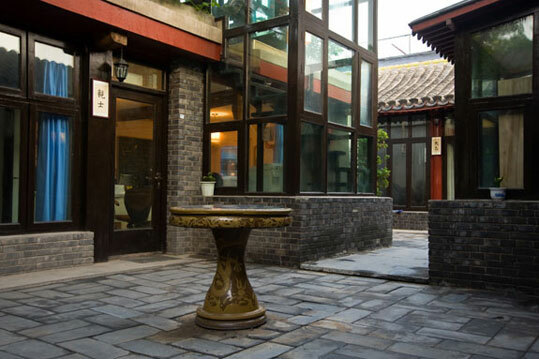 In addition, as a fully licensed private school, the Sinology Institute is subject to regular qualitative audits inspecting facilities and curriculum.